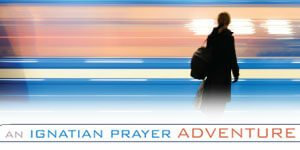 The video and prayer for the Fourth Week of Lent, Cycle C, are based on Luke 15:1–3, 11–32. The art is Rembrandt van Rijn’s The Return of the Prodigal Son. Imagine the expression on the face of someone’s mother when she sees her adult child enter the house after a long absence. This child has been estranged from the family, in and out of trouble, and now returns home looking disheartened and disheveled. Perhaps you can remember such an expression on the face of your own mother or father. What emotions come through when the parent realizes that the child has returned? What emotions do you see in the face of the adult child? So far, no one has said a word; the parent and son or daughter look at each other. If you could put words to those expressions, what would they be? How do you feel when you come before God after an absence from prayer or other communications, such as attending church? What is your greatest fear at that moment? What is your greatest hope? When others come to God and find joy in God’s presence, how do you feel about their joy? If a person who is, in some way, your enemy were to find joy in God’s presence, how would you react? Imagine that you walk down a long hallway. You know that God is at the end of it, waiting for you to arrive. What are your thoughts and feelings as you approach? What reaction do you hope to receive from God when you enter the room? Are you prepared to say anything? If you’re receiving this via e-mail, click through to watch the video Arts & Faith: Fourth Sunday of Lent.